Throughout its existence, Bitcoin has been the face of several uncanny and tragic events that emerged on the Internet. One of which is the notorious Silk Road scandal, which drastically tainted the mainstream’s perspective of the cryptocurrency. Apart from this, Bitcoin is also the face of the infamous cryptocurrency exchange Mt. Gox. During Bitcoin’s ripening stage, this Japan-based exchange showed great potential and has enticed Bitcoin users to flock and patronize its services, making it one of the key players in the growth of Bitcoin. However, the whole Bitcoin ecosystem was shocked after Mt. Gox’s CEO Mark Karpeles filed for bankruptcy, which left investors and customers baffled about what happened to their invested money. To date, authorities continue to unveil the real reason behind this sudden downfall of the exchange while having Karpeles behind bars. Still, the Mt. Gox heist gave a detrimental blow to the sanctity of Bitcoin. Hence, skeptics and non-believers gained more reasons to go against the cryptocurrency’s innovations. Unfortunately, Bitcoin is not only associated with big-scope scandals like the two mentioned. As a matter of fact, the cryptocurrency has been a regular front for online terrorists and extortionists. It has been weeks since the news was filled with variety of stories regarding the hacking of the online dating site Ashley Madison, whose services are rather promiscuous compared to other online dating platforms. After the website’s database was breached by an online hacking group dubbed as the ‘Impact Team,’ numerous clients were in a fiasco, fearing that their precarious acts of lust might get exposed. The mayhem continues to grow as different online terrorists, apart from the Impact Team, are now fishing the Ashley Madison’s database to gather information, which are used to blackmail clients into paying big sums of bitcoins in exchange for the discontinuation of the release of the hacked data. Brian Krebs, a security researcher assigned to the Ashley Madison Attack, stated that the extortionists are threating to expose the website’s clients to their significant others, unless they pay their requested ransom worth 1.0000001 BTC. Fortunately, this particular coercer was not successful in milking its victims’ bitcoins since 0.0032 BTC was only paid. However, Tom Kellerman, Chief Cybersecurity Officer at Trend Micro, is wary about the extortion attacks in the long run. He fears that criminals will soon use these data to create malicious software to be able to compromise and lock their victims’ computers for another ransom threat. Bitcoin extortion attacks are technically impossible to contain since terrorists utilize the network’s structure to their advantage. However, these threats can possibly be nullified with the right knowledge of Bitcoin. 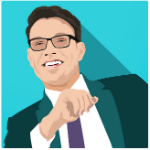 Take the Bitcoin gambling industry as an example. This niche is not foreign to such extortion attacks. 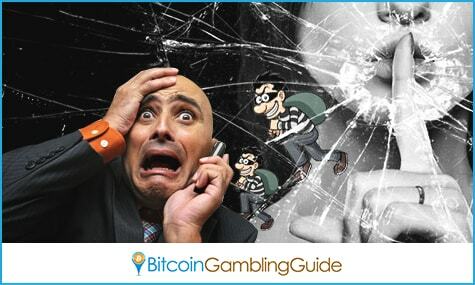 In fact, numerous Bitcoin casino venues and gambling websites have experienced the same hacking similar to that of Ashley Madison. Take for example the Nitrogen Sports blackmail incident before and the DDoS attacks on Americas Cardroom. 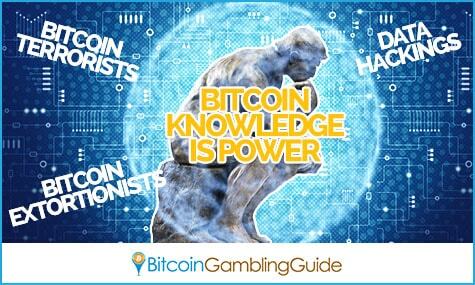 The only difference is that Bitcoin gamblers are equipped with a more extensive and in-depth knowledge concerning their niche’s structure as compared to their attackers. Having such statistics, Bitcoin gambling platforms have successfully turned the tables against cyber attackers and have halted the threats and attacks before receiving any significant damage. It is inevitable for Bitcoin to take part in various criminal activities since its structure poses great advantages, which are unfortunately used by a few illicit individuals like the perpetrators behind the attack where the Ransomware demands Bitcoin. Perhaps the most effective safeguard against future Bitcoin terrorist attacks is having the right information and details concerning the cryptocurrency. With this knowledge at hand, nullifying threats are now a vivid picture in the complex landscape of the Internet.